This flask is great for taking your favourite drink with you wherever you go. 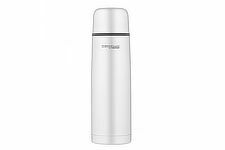 It features double wall vacuum insulation to keep hot or cold, and has a durable stainless steel interior and exterior. The lid doubles as an insulated serving cup and the twist and pour stopper allows you to pour without removing it. The prize draw closes on 28th March at 8.00pm.